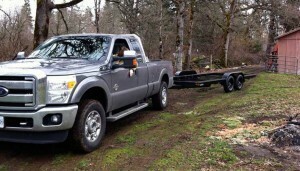 The Prepper Journal website shares suggestions on how to successfully back up a trailer. Some people are natural gifted and can back a trailer with almost their eyes closed… like my husband. On the other hand, there are people like myself that can use all the help we can get…. like myself. It really helped to see the above point of view diagrams as they explained the techniques.